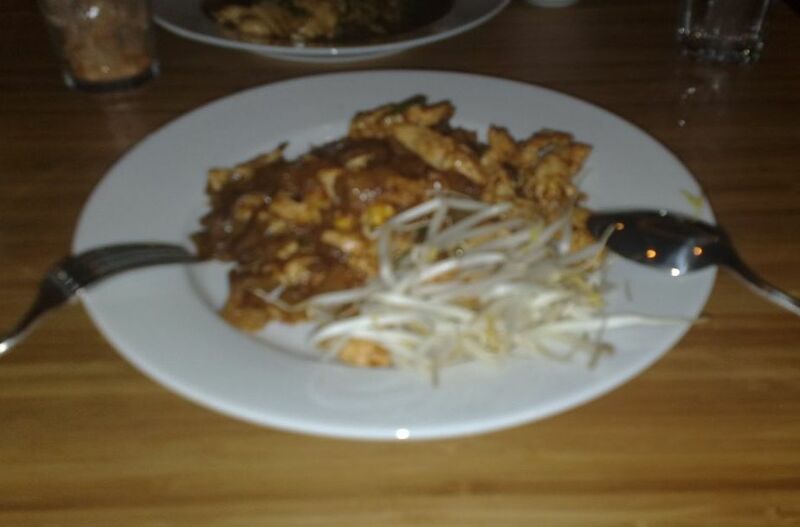 **Wrote this review a while ago, but S hadn’t given me photos from the evening until now… I really enjoyed this place, it’s been voted the best Thai place in Indy’s Best of the Triangle, and it has awesome reviews on Yelp, so if you’re nearby, give it a try! 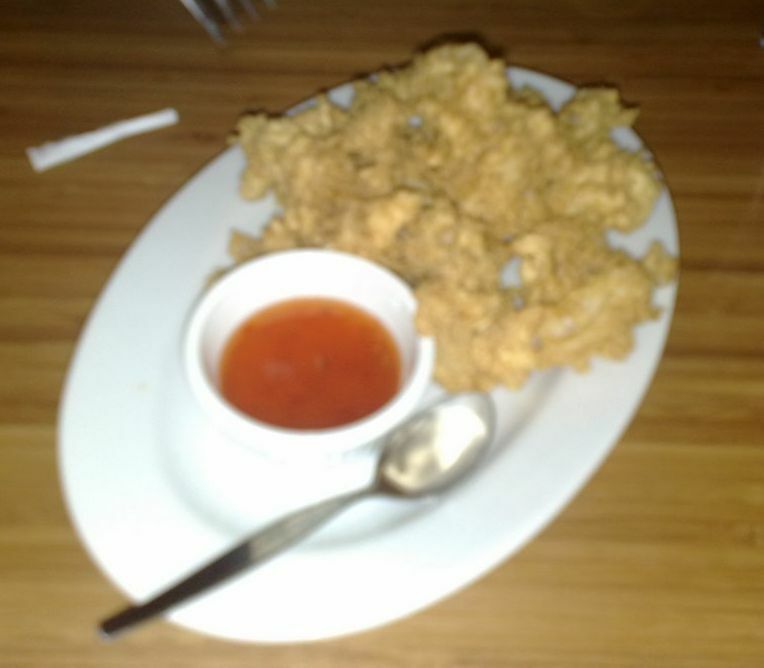 The calamari appetizer was decent (although small), reminded us of Twisted Noodle’s fried tofu actually – I think it was the batter. The Pad Prik Kra Paw (with pork) was super spicy! We ordered both of our dishes to be two stars (out of three) on the spicyness scale, and I consider myself to be quite spicy tolerant, but wow, that was some dish. Other than that, the pork was cooked pretty well, and there was a lot of other flavors. The drunken noodles were really, really good. It was also a very spicy dish, and you could tell that the spicyness was blended in beautifully with all the other flavors to create a really nice aroma. Unfortunately, towards the end it got a little too oily for me, but I still finished everything (yes, the entire entire plate!) because it tasted so good. Yup, that’s how great it was. Aaaaand because we loved everything so much, we decided to order dessert! 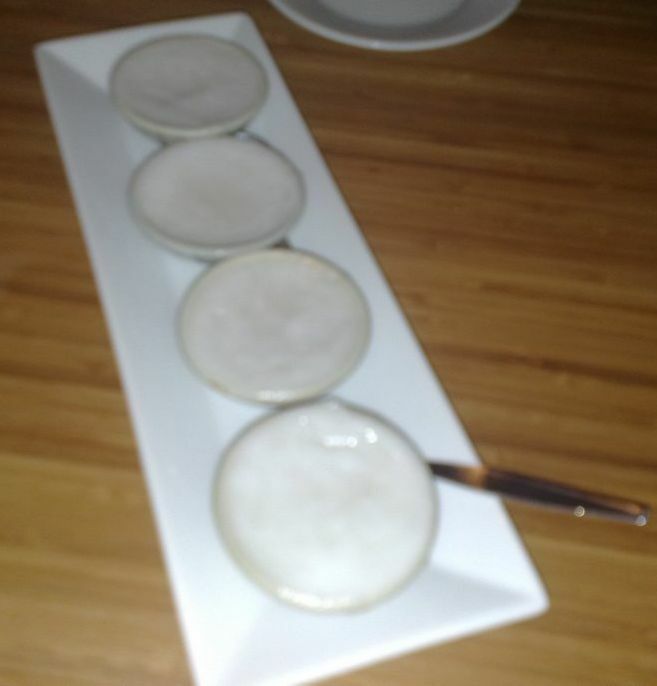 (Funny how when you’ve eaten a lot of good food, you want to eat more…) We were instantly attracted to one thing on the menu: kanom tuay (sweet coconut pudding). It was served warm in four small cups on a long tray – an elegant presentation. The pudding’s consistency was not as soft as custard or jelly, but not as sticky as sticky rice. The coconut flavor was strong but not overwhelming. Overall, it was a great combination of texture and taste. Both of us enjoyed it very much, and we left the restaurant very satisfied. If you can’t tell already, I absolutely adored this place. 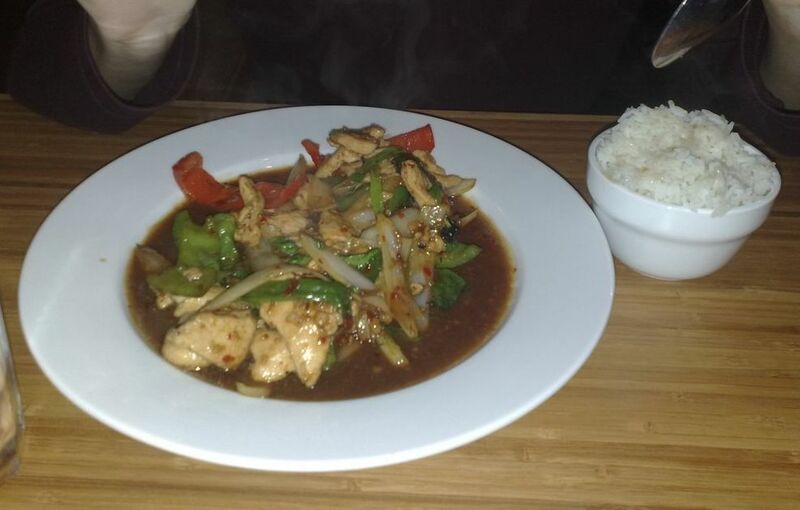 No wonder it’s voted one of the best Thai restaurants around here and has such good restaurant reviews. I really want to go to the Capital Blvd location now and see if the food is consistent… or you can try it and let me know how was your visit. I hope it was as enjoyable as mine!